Yes, you do have to connect a Bluetooth headset, a requirement mandated by Apple, one that is a bit frustrating since most CarPlay interactions don't require voice. Still, once enabled it works well, controlled either via four-way controller on the left grip or a central, rotary controller down on the tank -- though frankly I can't recommend reaching down to that while on the go. Still, having intelligent navigation and access to your media on the bike is great. 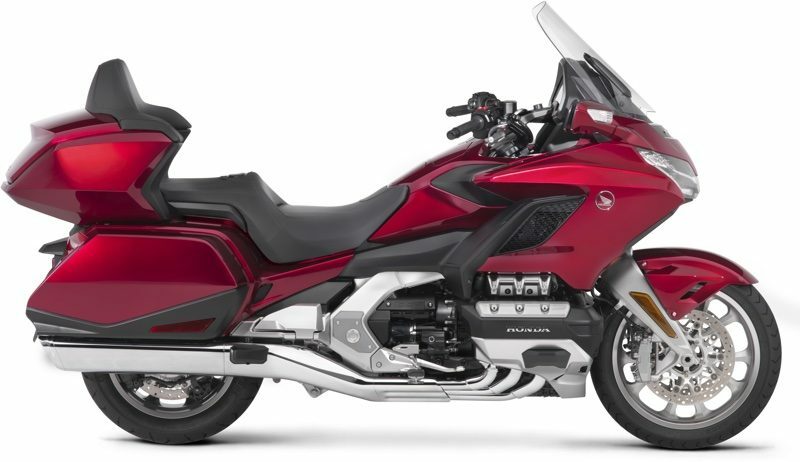 Honda's new Gold Wing is 90lbs lighter than older models, and it features an 1,800cc engine with a double-wishbone front suspension. CNET says it's narrower and more attractive, but has much less cargo space than before. Additional information on specs can be found on Honda's website. CarPlay is now available in more than 200 vehicles from a wide range of manufacturers, and there are also several aftermarket solutions available for cars that don't come with native CarPlay support. Along with motorcycles, CarPlay is also now available in some new semi trucks from Volvo. Oh, great. Now I have to provide tech support for grandpa’s bike, too? The Gold Wing has always been very car-like in its amenities. Also offers air conditioning and keyless entry. No, really. The Gold Wing is not a bike for puttering around town. It's the bike for long hauls with your significant other on the rear. It's also a giant motorcycle with all creature comforts you can imagine. I'd rather have people plug in the phone to charge and put it into a compartment than having it in their pocket to vibrate constantly. CarPlay on a bike is every bit as useful as CarPlay in a car. iMessage on a motorcycle.. What can possibly go wrong? This would have been a good chance to implement wireless CarPlay. Wow, that's a good looking bike!